Black Ice Software - TIFF Viewer 12.00 is released! Version 12.00 of the Tiff Viewer has been released with fundamental changes to how annotations are saved and processed. The annotations previously used a proprietary annotation format, making other applications unable to view annotations previously generated in the Black Ice Tiff Viewer. This has all been changed with the latest release, as the annotation XML format is now open to the public, which enables developers/users to export annotations into third party applications or import third party annotations into the Tiff Viewer. 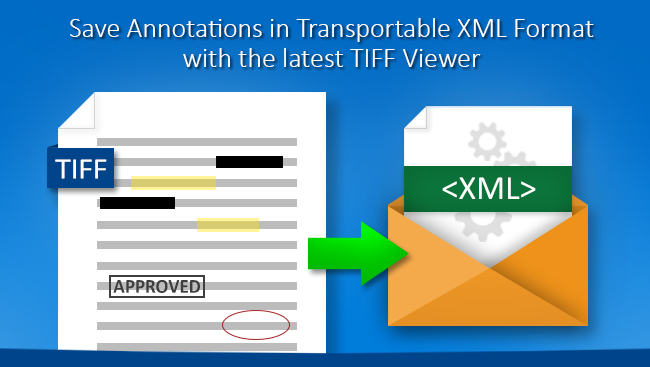 The newly implemented annotation format allows for the annotations to be saved as an external XML file or stored directly in the TIFF header in XML format. The Annotation API makes loading and saving of annotations transparent and fully backward compatible. The Annotation XML format is also well documented and easy to parse or convert. Changed format of annotation files (.ann) and annotation tiff tags to XML. The change is backwards compatible so Tiff Viewer can read annotations from the earlier binary format .ann files and TIFF tags. Removed Left Arrow and Right Arrow shortcuts to go to Previous / Next file in the current folder by default. User can still configure these keyboard shortcuts manually, if needed.